Rowing their way to victory! 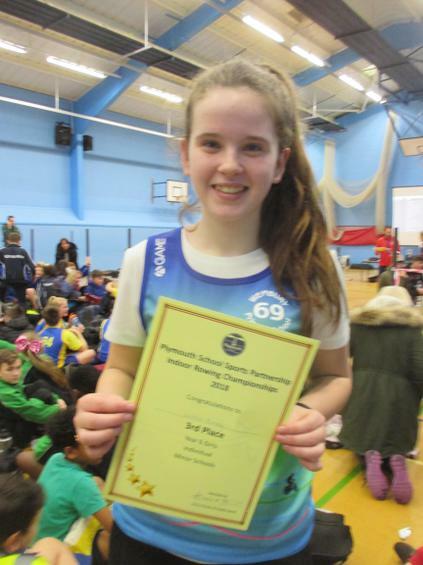 Just incase we hadn't had quite enough success at Wembury recently, our fabulous Year 5/6 Indoor Rowing team brought home yet more medals today at the Level 2 Plymouth Primary Schools Indoor Rowing festival. 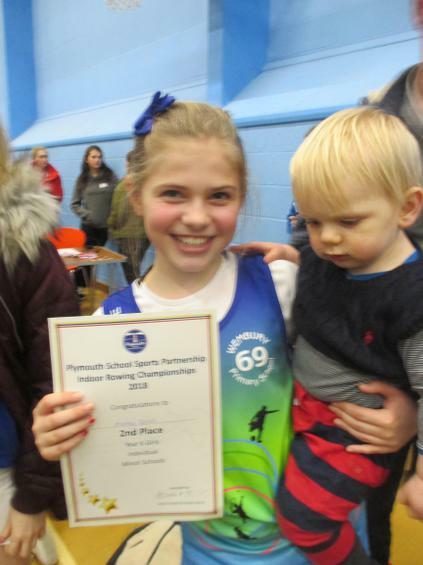 Our triumphant team of 8 gained 2nd and 3rd place in the girl's event - Well done Maddy and Lottie! 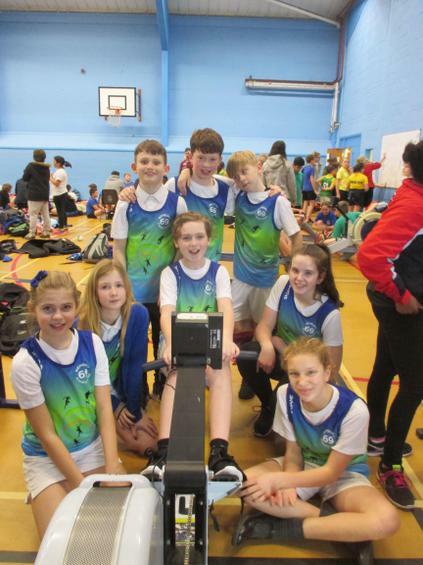 But they were not finished there, the whole team rowed home to win 1st place in the minor (smaller) school team event AND 1st place minor school OVERALL! Absolutely amazing - Go Team Wembury! For all the action pictures please click here.